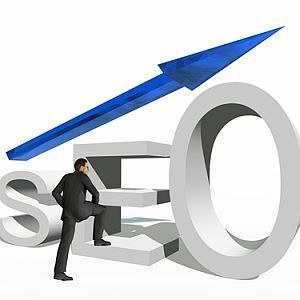 In the world of search engine optimization, there are countless theories, rules, techniques and endless speculation across the blogosphere. There are some awesome SEO experts out there, and there are many more scammers, fraudsters and worse. 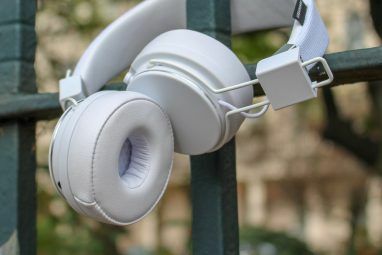 It’s unfortunate, but in a field where the rules can get complex and may change every year (or month), it’s really easy for scam artists to convince unsuspecting website owners that they can perform miracles. Unfortunately, the performance really never materializes. The good news is that before you go out and hire an SEO expert for the complex stuff, you have a number of awesome automated tools at your disposal to take care of the SEO foundation of your WordPress blog. 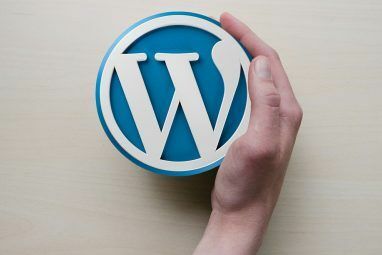 If you do have a WordPress blog, there are a number of SEO plugins to choose from that can give you an excellent start in your efforts to optimize your site as well as every post you write, and of course you’ll find a bunch of them on the MUO WordPress Plugin page. 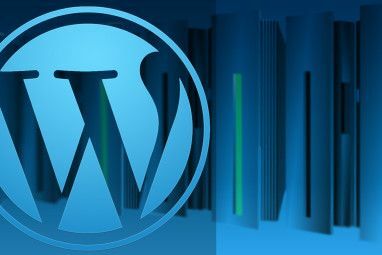 Steve also listed several SEO plugins in his list of 10 WordPress traffic building plugins 10 WordPress Traffic Builder Plugins That Work 10 WordPress Traffic Builder Plugins That Work Read More . In every case above, a single SEO plugin has made each list, and that plugin is All-in-One SEO. It’s an old friend for anyone interested in SEO, and one that I’m sure many readers are well familiar with. However, we’ve never really done a full review of the plugin, so for those that are new to using SEO plugins and want to try out All-in-One, I’m going to review the tool, describe how using it will affect your page source, and a few tips on making sure you get the most out of the plugin. Setting up the All-in-One SEO plugin is as straightforward as any other. Once you download it and FTP it into your plugins folder in your WordPress installation, you’ll see it under the Plugins menu in WordPress. Just activate the plugin and you’re ready to roll. Once you’ve installed the plugin, you can go into “Settings“, and you’ll see the All in One SEO option. This is where you can set up everything for both your main site characteristics, as well as behavior for individual posts. Keep in mind that individual post entries will to into other fields, which I’ll get to below. For the most part, you can leave all of the default settings untouched after installing, and you’ll be fine. The important thing is just to carefully create the text that’s going to go in the three fields – Home Title, Home Description, and Home Keywords. This is the text that will go into the meta fields for your main site – so these are probably the most critical fields, because they really define what your site is about, and the core keyword phrases that you’re targeting with your site. You’ll read opinions on both sides of the fence when it comes to how much meta keywords really matter anymore. Some people say they’re really not a factor, while other people still swear by them. In reality, it’s a little of both. Google doesn’t ignore meta-keywords, but there are a whole lot of other factors that are taken into account in addition to keywords. So, there’s some truth that they aren’t as heavily weighted, but they are absolutely still taken into account. Again, All-In-One SEO is not about doing everything when it comes to SEO. It’s about taking care of these fundamentals, so installing it and completing these fields to the best of your ability will let you sleep at night knowing that you’ve taken care of business and you’re ready to move forward with the bigger stuff. Scrolling down, you can use the formatting fields to change how your URL titles will show up for each section of your WordPress blog. The remaining checkboxes let you fine-tine things like whether your archives and categories are excluded from being crawled. Again, you can keep the default settings and you’ll be fine – but if you know what you want to do here based on how you’ve set up your blog and how your theme works, you can tweak these settings as appropriate. Many of these settings really depend on your theme. Once you update the options, load your main page, clear the cache (cntrl-F5) and then right click and view page source. What you’ll find are the fields you’ve configured are now a part of the page source. The title field will show up as the page title as shown here. The description and keywords fields will show up under meta fields for description and keywords as shown here. Again – this is for your main page which will typically receive most of your traffic, and you really want to have optimized to focus on those core topic keyword phrases that you want to compete for in search listings, so choose those phrases very wisely. Description and title should include at least a few of those phrases as well if you want to add a little more strength to your efforts here. Now that you’ve taken care of your main site, it’s time to take care of each post you write. Once you’ve installed All-In-One SEO, you’ll find the fields in the WordPress editor under “All in One SEO Pack”. 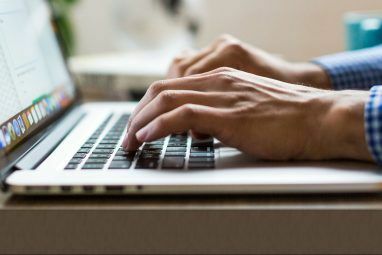 It may take some extra time to fill these out after you’ve just finished writing an article using the WordPress editor, but trust me, you’ll be glad you did. At the very least, you should fill out the keywords field – this will override the site keyword settings that you’ve configured above, and it’ll fill in the meta keywords field with the targeted keywords you’ve defined here. To get more SEO punch for your efforts, take the time to fill in the title and description fields, and make sure to use the keyword phrases that accurately define what your content is really about. You want to give Google the clearest snapshot of what your article is about, and the meta fields are an awesome place to start. Craft these carefully. One thing to keep in mind is that the title you define will not override the actual post title that you’ve created in WordPress. That stays the same, as you can see in the picture below. What it defines is what text will show up in the browser title bar, and what title the Google crawler will look at. As you can see in the page source below, the title defined for the site is not the same as the post title. It uses the text straight from the SEO tool field that you filled out for the post. The same is true for description and keywords. Those in-post fields will override your site settings, so that you’ll have a more accurate and well defined meta fields for each individual post on your website. Again, this is all basic SEO stuff, but it’s important to have it all in place if you want to have a fighting chance of ranking in search listings on the web these days. Once you’re finished setting up the site settings, and you’re actively filling out the fields for every post you write, you’re well on your way toward SEO stardom. Once you’re done here and you want to start doing more with search engine optimization on your site, don’t forget to explore some of the more detailed topics I covered, such as SEO mistakes to avoid – part I 10 Common SEO Mistakes that can Destroy Your Website [Part I] 10 Common SEO Mistakes that can Destroy Your Website [Part I] Read More and part II, accurately determining your current SEO ranking How To Determine a More Accurate SEO Ranking For Your Site How To Determine a More Accurate SEO Ranking For Your Site Search engine optimization. It's a controversial topic these days. Lots of professionals have their own opinions about what constitutes a good SEO strategy. Some people insist that a solid keyword strategy is the only thing... Read More , or keyword analysis tools you can use like SEO Blogger. SEO often gets a bad wrap. And you know what, that’s okay – it’s a nature of the business. However, done right, done carefully and researched well, you can absolutely get a leg up on your competition and get past them in the search results. But it all starts with a solid foundation, and WordPress Plugins like All-In-One SEO will give you that. Do you do anything on your site to optimize? Do you use All-in-One or do you prefer another SEO plugin? Share your own insights and thoughts in the comments section below! Explore more about: Blogging, SEO, Wordpress Plugins. All-in-one for me. Saying that I'm going to rebuild a site where there are Yoast WordPress SEO Plugin and look forward to take a closer look on that. You'll like it. I'm looking forward to any feedback you may have in contrasting between the two. You know, I do have to use Yoast for other editing work and have to admit I've always been torn between the two. There's a lot I really like about Yoast. I think SEOPressor is also best in premium segment.